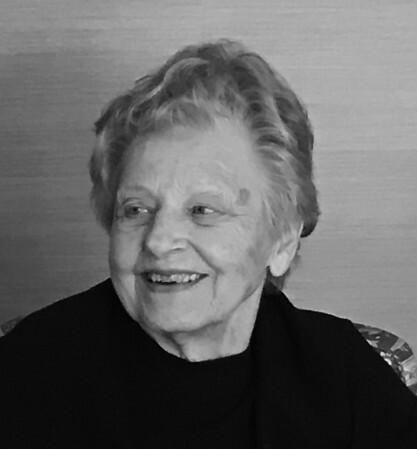 Alice (Weber) Gleba, 90, of New Britain, died Saturday, June 23, 2018,) at the Hospital of Central Connecticut in New Britain. She was born in New Britain, the daughter of the late Gustave and Anna (Tieber) Weber. She was predeceased by her husband, Stanley Gleba; five brothers: Gustave, Frederick, Carl, Robert and John; and one sister, Annabelle Chapman; father and mother-in-law, Steve and Stella Gleba; brother-in-law, Robert Chapman; and sisters-in-law: Clara, Margaret, Marion and Ruth. Alice worked at Precision Grinding, a family-owned business, for 15 years. She lived a healthy lifestyle and was a devoted mother to her children. Her favorite pastime was working in her garden and taking care of her yard. She also enjoyed reading and making trips to the library for new books. She liked to take nature walks, ride her bike and cook her favorite meals. She faithfully attended the Church of St. John the Evangelist and was a member of the following organizations: St. John’s Ladies Guild, Catholic Council of New Britain, Austrian-Donau Club, Berlin Sportsmen Club and the Chamberlain School PTA. She is survived by her daughters: Jane Long and her husband, Michael of Florida, and Jill Beliveau and her future husband, John Hogan of Rhode Island; her sons: James Gleba and his wife, Maryann of East Haddam, and David Gleba of Manchester. Alice leaves four grandsons: Jimmy Long, William and Michael Beliveau, and Bryan Gleba; three granddaughters: Audrey Long, Danielle Beliveau and Jaime Gleba; two great-grandsons, Kaleb and Jacob Long; several nieces, nephews and grandnieces and grandnephews. Alice is also survived by her brother, Richard Weber of New Britain. Funeral services will be held Thursday, June 28, 2018, at 9 a.m. from the Farrell Funeral Home 110 Franklin Square, New Britain, with a Mass of Christian Burial at 10 a.m. at St. John the Evangelist Church. Entombment will follow in St. Mary Cemetery Garden Mausoleum, 1141 Stanley St., New Britain. Visitation will be Wednesday from 5 to 7 p.m. at the funeral home. Memorial donations may be made to St. John the Evangelist Church, 655 East St., New Britain, CT 06051. To send a condolence, please visit. www.FarrellFuneralHome.com . Posted in New Britain Herald, on Sunday, 24 June 2018 21:09. Updated: Sunday, 24 June 2018 21:11.